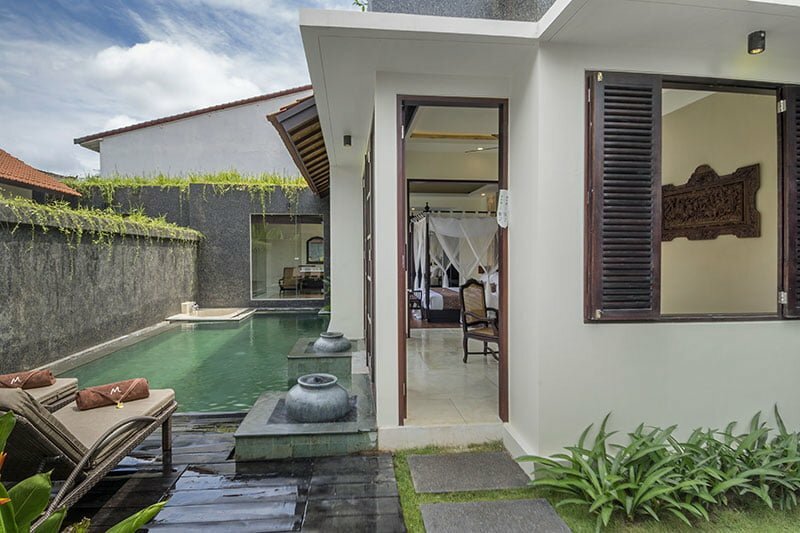 Villa Tunjung is perfectly located in the Umalas area meaning you are only 5 minutes into Seminyak area or 5 minutes into Canggu area. 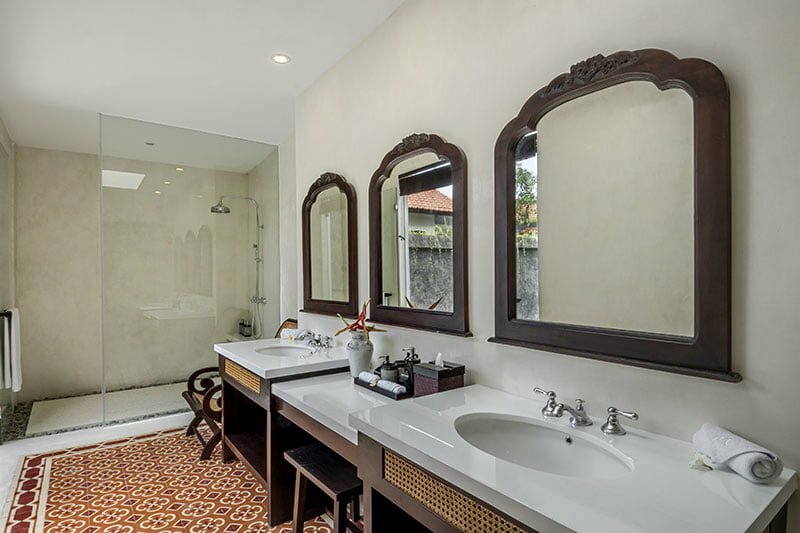 The perfect place for your Bali holiday and still considered one of the best areas in Bali for peace and quiet and rice paddy views. And Umalas still host some amazing cafes and restaurants of its own. 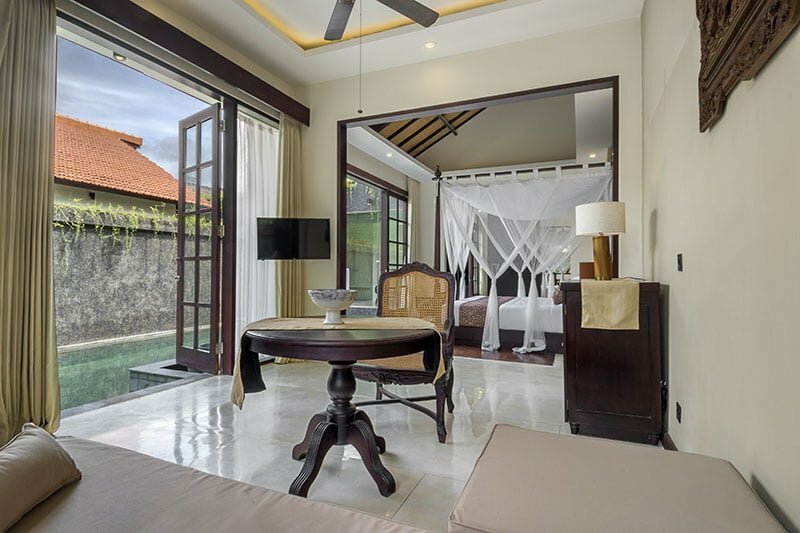 Villa Tunjung is the perfect one-bedroom villa offering all luxury fittings and services and is the perfect Bali villa for your next holiday. 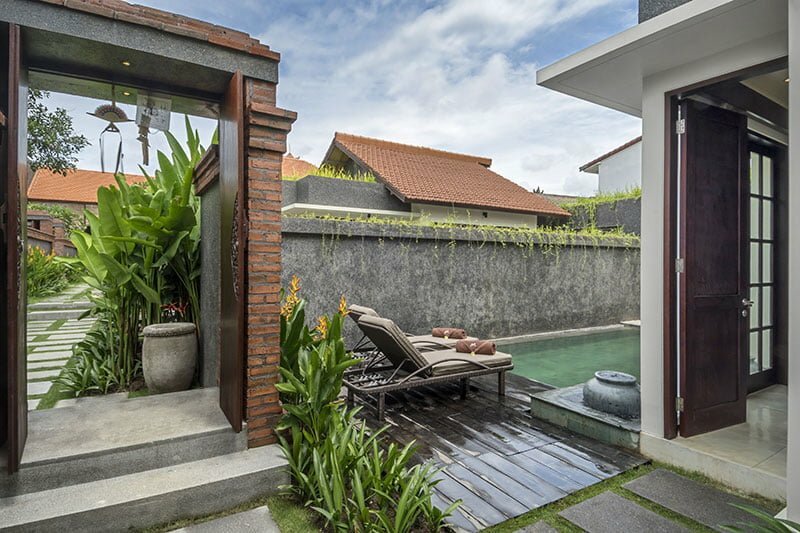 Decorative stone walls surround your villa with drooping vines that offer both security and tranquility. 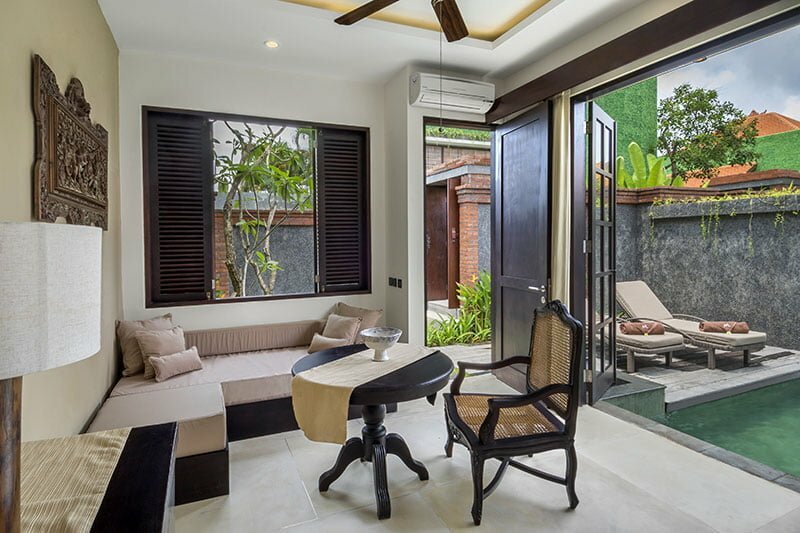 Offering your own private 7-meter swimming pool and timber decking that you can enter directly from your lounge room area. 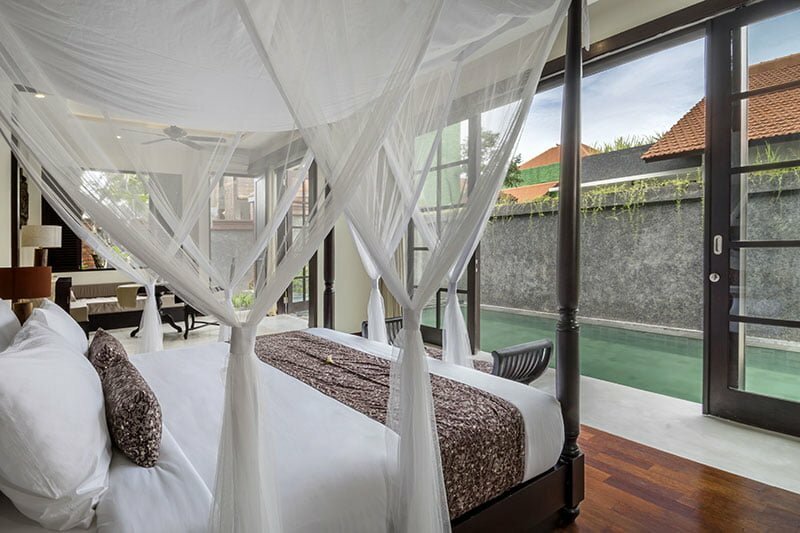 What a way to wake up on a tropical sunny Bali morning! 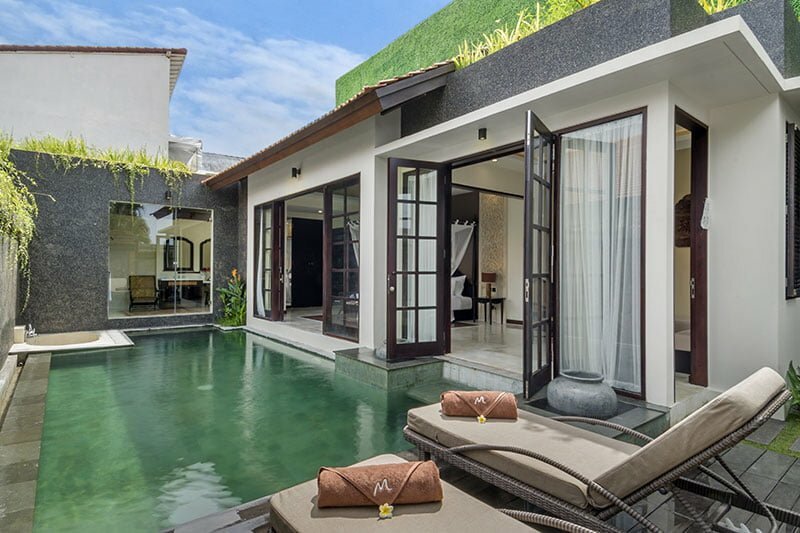 A very spacious living area opens out into a small private garden and you can slip directly into your pool from the lounge steps. You can leave the area open during the day or closed to enjoy the warmer parts of the evening with your air conditioned space. You also have a relaxing sofa and wall mounted flat screen TV for your entertainment. 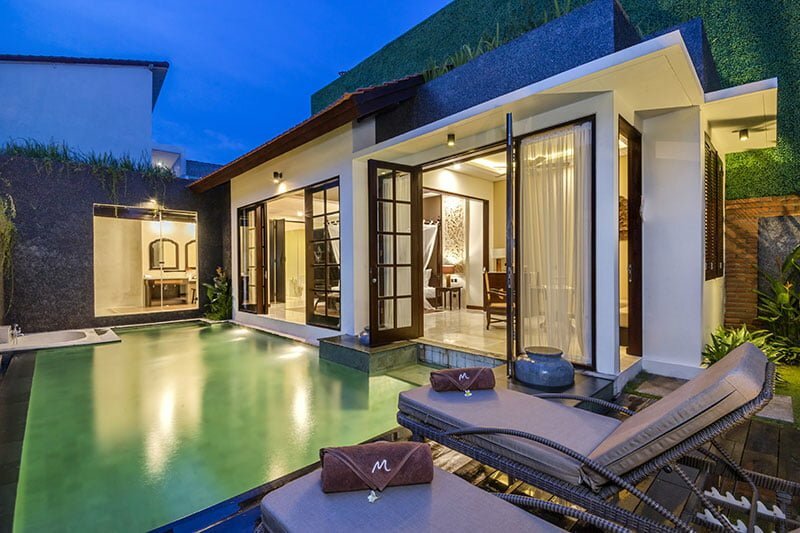 A perfect are to sit and relax or enjoy a movie with your friends or loved ones of an evening. 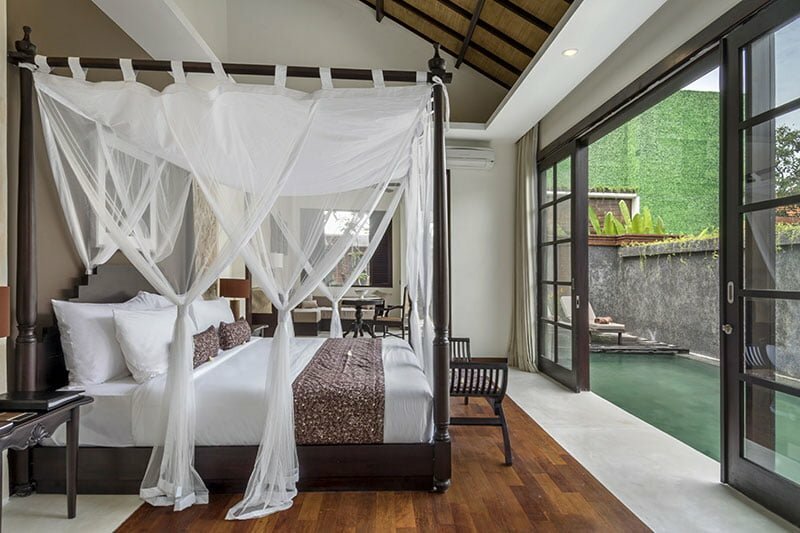 The lounge is connected to the master suite with a large archway allowing a large open space.The villa not only offers a gourmet menu that you can choose from that is exclusive to guests of the villa, but you can even visit Kubera Lounge, which is a dining pavilion offering special dietary food as well as other food stuff to guests! 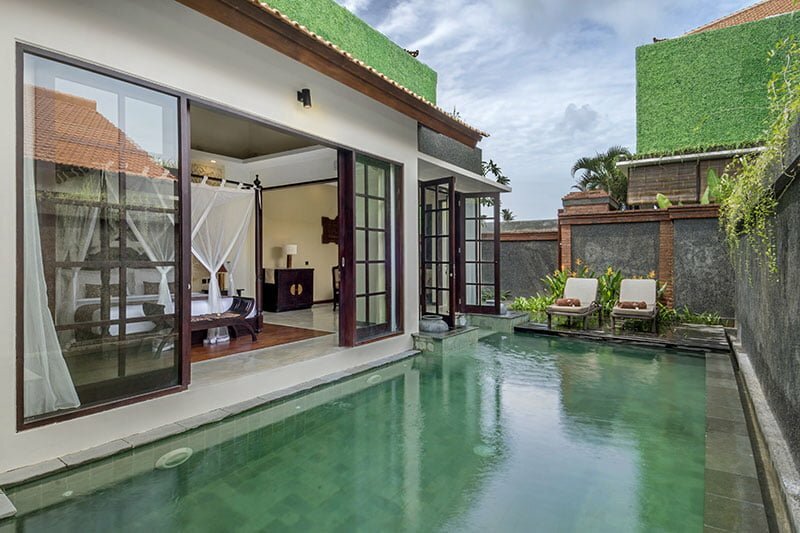 You could request for housekeeping, security, and a villa manager for a comfortable stay. For car/scooter rentals, the staff is happy to help and make arrangements.